We will be running the new Rota RT5 17x10 ET 50 tomorrow! This is a good fit for the S2000. It is also big brake friendly. Well, certain big brake, nothing crazy big brakes friendly. Hell yeah!!! Finally! Someone delivers, and they didn't even ask the community about it. Oh wait... will these be available for everyone else or is this a specific special run to support you as a racer? Will it clear the stoptech bbk 328x28 mm? I wouldn't do that to the community Of course it will be available to the public. It should be available as soon as next week. It should fit over stoptech or brembo, as that was the intentional design. We will do actual test fit in the next couple of week. I got more pressing things to take care of as we hit a tire wall today. No worries, it got fixed, track fix and grabbed outside pole today! Wow. Looks perfect! 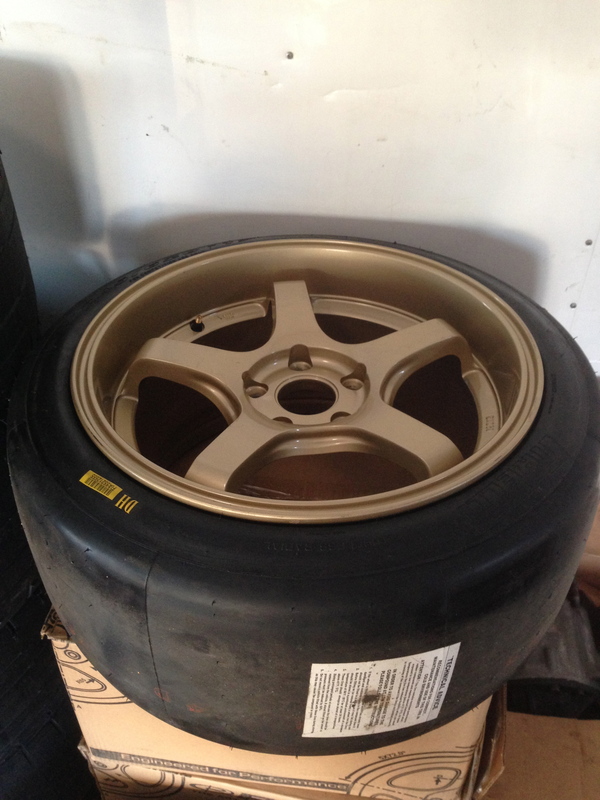 Would it be stronger than the other 17x10 options like rpf1? Nice. Do you know how much it weighs? Price? I don't actually sell them so I don't know the price. It's not as light as rpf1 unfortunately. We weigh it but can't remember exactly. I want to go by memory at 21 lbs. I can't be 100% sure. Definitely over 20 lbs. We're near the middle of the paddock. Long black trailer.